Welcome to episode 5 of Coexisting With Nonhuman Animals. For this episode I'd like to follow up on what I call the "NZ Pork Scandal", mainstream coverage of how pigs are treated New Zealand. I covered the initial story 6 months ago, on my other podcast, I've included a link to that episode on this podcasts blog, at coexisting with nonhuman animals.blogspot.com. SAFE, who class themselves as an Animal Rights organization, are probably most well known for Welfare campaigns. SAFE have created a website, lovepigs.co.nz all about the New Zealand factory farming of pigs. I know that many of the leaders of SAFE are vegan, but SAFE campaigns never even mention the word "vegan", instead asking you to avoid factory farmed animals in favor of "Free Range" meat. Mike King, a well known New Zealand celebrity switched from promoting NZ Pork to working with SAFE after a friend showed him footage of how New Zealand pigs were treated. King suffers from depression, and identified with the pigs he saw. But, Mike King still eats pigs! This is from the Sunday show 6 months ago. Campbell Live had a follow up to what I call "the NZ Pork Scandal", now 6 months on. What has changed? Sadly, nothing. In the video, Mike Kings title was "animal rights campaigner". An Animal Rights campaigner, who publicly eats meat? I'll get to that soon. It was good to hear from pork board CEO Sam McIvor, John Campbell, the interviewer really did a great job with his questioning. From Sam McIvor, we got further promises that new regulations would come in soon, just like we were told 6 months ago. Changes are now scheduled to begin in 2015, I'd wager that feels like a long time away to the current pigs being stuck behind bars. There seem to be TWO NZ pork board websites, pork.co.nz and NZpork.co.nz . Pork.co.nz seems to be more consumer orientated, with nzpork.co.nz focusing more on farmers. On NZpork, each weeks "pig kill" is released as a PDF file. I see in the last week 11,715 pigs were killed in total in this country. The total weight was just under 800 tonnes. Compare this to the amount imported from other countries each week, a further 700 tonnes of meat. Those number's are staggering, I cant imagine what all that meat must look like if it were stacked in one place. Last weeks close to 800 tonnes, plus the quoted 700 of imported pig parts, thats 1500 tonnes of flesh! One of the NZ Pork Boards agendas is to instill fear about overseas meat imports. We get told that "oh, New Zealand pork meets our strict standards, theres no growth hormones, imported meat doesnt have to meet these standards". We also get threats that if we raise the level of how our farm animals are treated, that the price will be a little more, and consumers will buy cheaper imported meat that doesnt get pampered as much. I think thats really lame, to say "but every animal is treated equally awful this way", its not something I would accept were I to eat said product. So thats the NZ Pork Board, what about the other side, SAFE. The current SAFE ads end with Mike King asking us "please new zealand, dont buy factory farmed pork, join me and safe, and lets end this cruel treatement of pigs". Would it really be so hard to say "Please New Zealand, be Vegan"? I guess that requires more change for Mike King, he still wants to eat meat, and if SAFE say that there is a "good kind" of meat, in the words of Gary Francione, a "happy meat", then he will buy that. If you are a true animal rights group, with a mascot who thinks its ok to kill and eat animals, then you have a major problem! Most celebrities who lend their name to large Animal groups are not themselves vegan. I assume that celebs like getting positive press, by supporting animal welfare reforms, yet, most, maybe almost all, are not actually vegan. To their credit, SAFE do mention a few times on the Love Pork site that you dont NEED to eat pigs, but its not the main message of the campaign. On the "help pigs" section of Lovepigs.co.nz, there are a few options listed, under "you can make a world of difference". The first option is to order a 10 minute SAFE dvd (five dollars plus postage of course) about factory farming. The second option also asks you to become a SAFE supporter, asking you to join SAFEs mailing list. The third option is lobbying your local member of parliment, asking them to support SAFE's campaigns. SAFE offer resources to send to politicians. Again, supporting SAFE by using their materials. Forth, make a donation, to SAFE, the site mentions donations over 20 dollars quote "entitle you to a free pig rescue pack". endquote. Fifth, "eat out without cruelty". SAFE asks you to question your local cafes, and fast food shops about where their pig meat comes from, is it from factory farms? Heres a quote "SAFE has postcard you can personally hand to your local eateries which are available in our campaign packs (included with any donations over $20)." Avoiding just one animal is far from a quote "challenge", and avoiding all animal products whenever you can, Veganism, is quite easy. 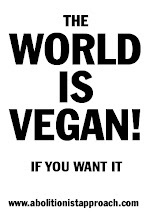 I've heard other vegans say we should never make out Veganism to be a difficult choice, we should always promote Veganism as being easy, which I think it is. I know I seem "different" to my friends, they often dont understand why I dont want to eat what they eat, or sit on their leather couches, but being Vegan isnt difficult, and it will only get easier as there are more Vegans in the world. If you spend more time on SAFE's Love Pigs page, you will find the "Free Range" section, where SAFE do have some negative information about Free Range. quote ""Choosing free range? the true price of pork". Avoiding pork products is really the most effective way to not contribute to pig cruelty. This will also send the strongest message possible to the New Zealand pork industry." endquote. "The other option you have of course is to choose to only eat free-range pork, bacon and ham products. Choosing free range does mean you're ensuring pigs have a better life compared to factory farmed pigs living inside disgusting ‘fattening' pens. However, there are some important things you should know before choosing this option." endquote. "The average age of a piglet ready for slaughter is a mere 16 weeks of age. It is important to note that even free-range farms can use husbandry practices that are stressful or painful. Even if pigs are treated in the most caring way possible, every animal must endure a terrifying journey to the slaughterhouse and be killed in a way that is often brutal and painful. Pigs are sensitive, intelligent and inquisitive animals, which makes this gruesome process even harder to comprehend. It is why many New Zealanders have chosen to completely avoid eating ham or bacon and to even become totally meat-free! As an animal advocacy organisation dedicated to helping to save animals from cruelty SAFE does not promote farming animals for food. Click here for delicious meat-free recipes." With the Love Pigs campaign, SAFE is getting a lot of attention for how animals are used for meat. Unfortunately, the overall message that consumers get is that Free Range meat is just fine, although there is this idea that maybe, perhaps you could not eat one animal, just one animal, although, I quote, "It might be a challenge". Utter nonsense, Veganism is easy, and if we could understand farm animals, I bet they wouldnt be saying "please make my cage a smidgen larger to fulfill animal welfare standards", they'd be screaming "get me the beep outta here!". More welfare regulations wont free animals from being someones property. I dont think large animal welfare or animal rights groups are helping animals very much. I think a good rule of thumb would be to avoid anyone that asks for donations. I've often thought about going out on the street, wearing a Vegan t shirt, and carrying a donation bucket. I'd claim to be a member of "the illustrious invercargill vegan society", and ask people if THEY would like a donation. I'd go about handing out Vegan pamphlets from Sam Tucker, Peaceful Prairie and Gary Francione, with the message that Veganism is about giving, not taking. I think individuals or small groups who have a strong message can make a large impact, much more than all the people who send a few dollars a year to a large group. I think that being Vegan helps me to stay a friend to all animals, I try my best not to hurt any animal, and my personal actions have a large effect on others lives. When issues about animal treatment come up, I sometimes write into my local newspaper, I've had all my letters mentioning veganism published, which is a nice feeling. I think I'm known in little old Invercargill for being a radical Vegan! My letters are always very calm, I try to be reasonable, but telling people NOT to kill 56 billion land animals a year, thats enough to get you labelled crazy! I'd urge anyone listening to be the same way, to promote veganism, people may not always be inspired by you, but you know you are being consistent with what you yourself practise, and I think its what the animals would ask for. EVERY WEEK 700,000 kg of imported pork comes into New Zealand. Is NZ pork better? Yes. Only 100% New Zealand pork is guaranteed to be from pigs born and raised on NZ farms, produced according to New Zealand’s Animal Welfare (Pigs) Code of Welfare 2005; low in food miles; free from added growth hormones; compliant with New Zealand’s stringent food safety standards. None of the imported pork from USA, Canada, Australia, Europe or China has to meet all these standards.